OLD PARKED CARS. : Saturday Bonus: 1990 Toyota Camry All-Trac DX. 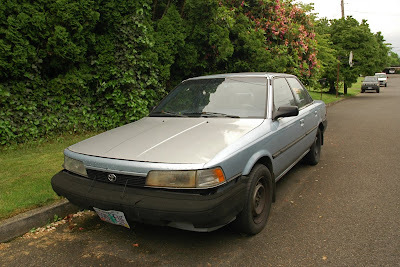 Saturday Bonus: 1990 Toyota Camry All-Trac DX. Hi Jon, the all wheel drive Camry was very short lived (and most people definitely wouldn't notice the All-Trac emblem). So it's rare and more interesting to me, but you're right that it still looks like a Camry. So I changed the title to a Saturday bonus, because it is more of an extra post. Now that I'm on a computer Jon, I thought I'd give a bit more insight into OPC. The blog originally started with the goal of documenting unappreciated cars of our childhood, the late 70s-80s things that most people walk by and don't even see. 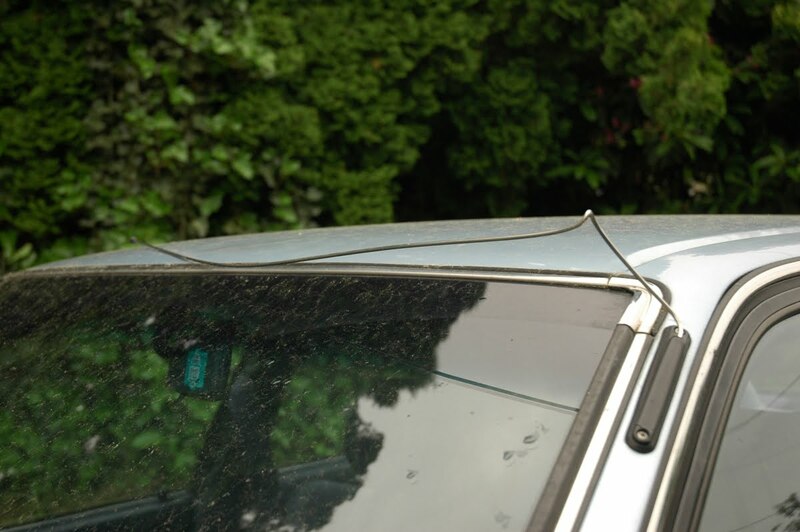 But the more we started to appreciate the details of older cars, we naturally started getting interested in older and older things. I'm still kind of on the fence about whether or not this car counts, because it (like a lot of early 90s cars) just don't seem old or interesting enough. But I'm a big Toyota fan, and all of the All-Trac cars (Celica, Corolla and Camry) seem like they would be awesome to own, yet they definitely go unnoticed by the masses. 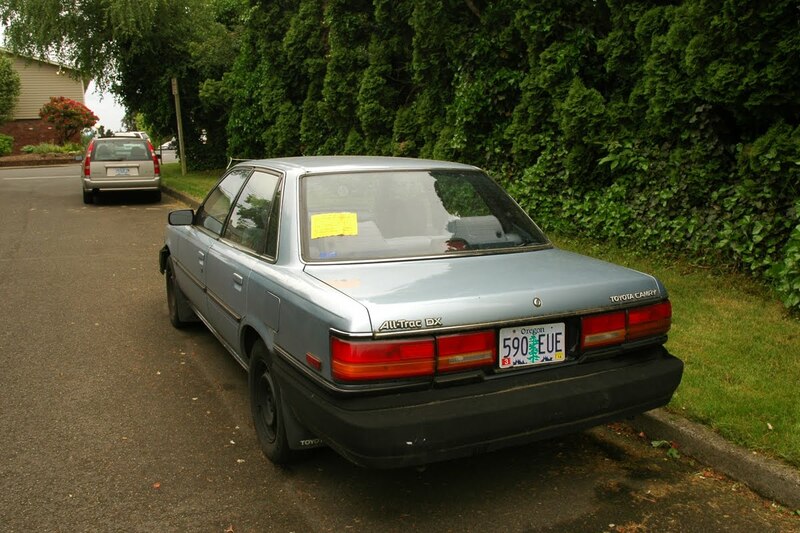 Lastly, I find it intriguing when cars are about to be towed, and also when they look like they live hard lives. 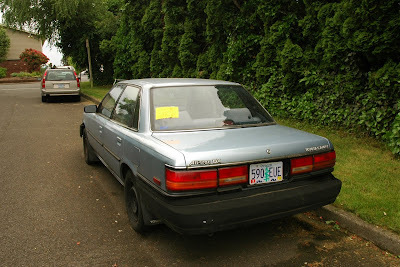 But don't worry, this is probably the only Camry that I will post, unless I find a really good one. It's now checked off the list. ha. i like it when the blog challenges you to appreciate something, and i hope some opc readers feel the same way. that hedge is funny, too. love the composition of the profile shot. As much as I'm indifferent to Camrys (& most other Toyotas - and I say that as a very satisfied former owner of a bare-bones 2WD Tacoma), THIS is absolutely one that stands out - due entirely to the AWD factor. A V6 wagon would also be worthy of consideration, and if I ever find one with a 5 speed for sale, I'm snapping it up. Oddball variants of otherwise unremarkable (or ubiquitous) cars can be fun, and I'd be quite happy to see more examples like this on OPC. Unrelated to the post - can you guys add an "identity" option for IntenseDebate members? the "goal" of the blog is something that's always changing and developing. i'd say my goal currently is to document every old car in portland, with a focus on daily driver-grade relics. some stuff is crazy rare because it was never imported here or was expensive when new or is just always garaged and never driven--those are interesting cars. but another kind of rarity is stuff that might have been widely available and just never preserved--just used up like a disposable tool. that's the stuff with the patina that blows my mind and keeps me doing this blog. 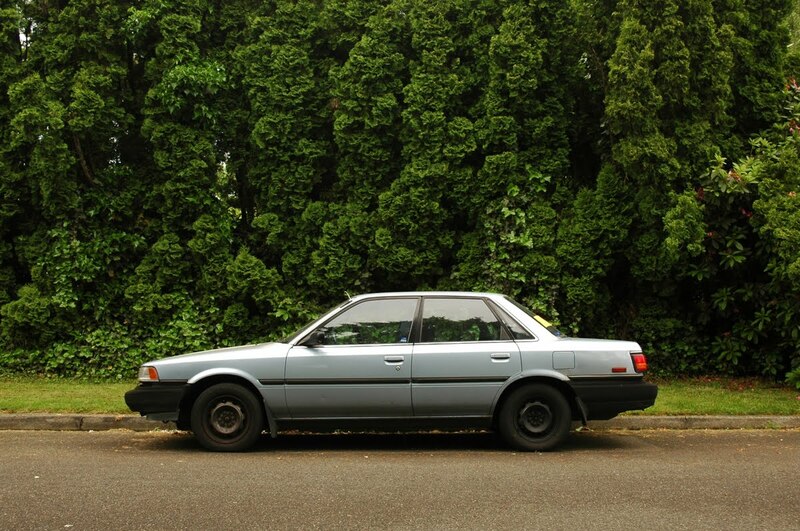 in ten or fifteen years, how many of these early camrys will still be on the road? Sweet to see that this car is still getting some attention :) But I've never seen it there again. I did however, just see a similar Camry Alltrac with a full sized Canoe on the roof. Would love to have gotten a pic, but it was parked with cars on both sides, and I was on an errand for Tony with both babies.